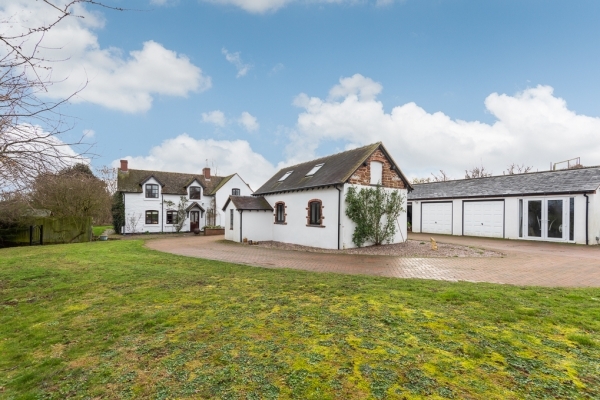 The four bedroom property, with an annex, is set in 10.5 acres of paddock pasture, found at Hillgates, a mile from Llanwarne, while the city of Hereford and the market town of Ross-on-Wye are each nine miles. 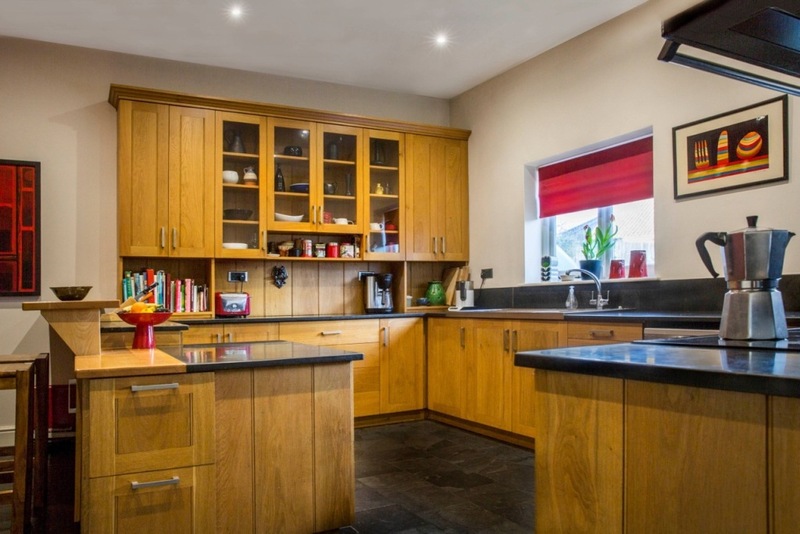 The spacious accommodation comprises of a reception hall leading through to an open plan kitchen, dining, family room stretching more than ten metres by five. 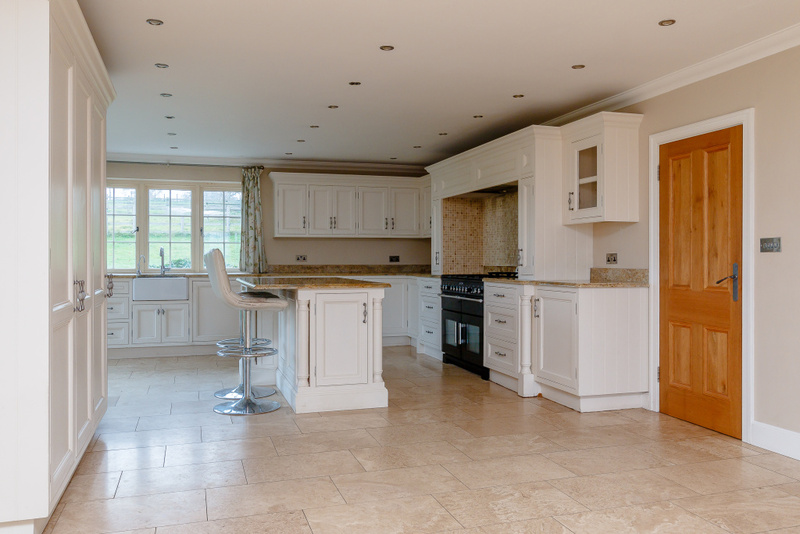 The kitchen space incorporates an island/breakfast bar and granite worktops throughout. French doors lead out to the south west facing terrace. A boot and utility room are found off the kitchen, together with a cloakroom and rear door. 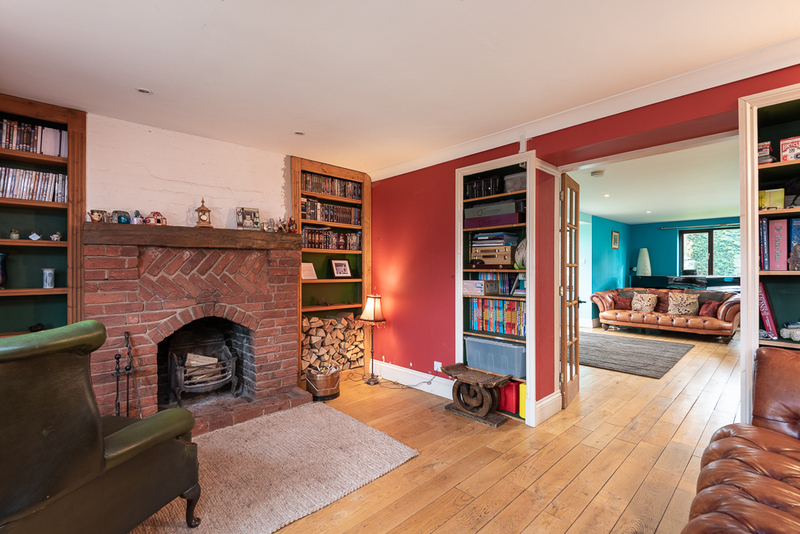 The reception hall also leads to the sitting room with a woodburner and French doors linking to the kitchen terrace. Beyond the sitting room is a triple aspect garden room – which achieves a wow factor, intimately linking light and landscape. Upstairs the master room enjoys en-suite facilities, with a family bathroom serving three bedrooms. A studio annex suitable for a relative or home business completes the accommodation. 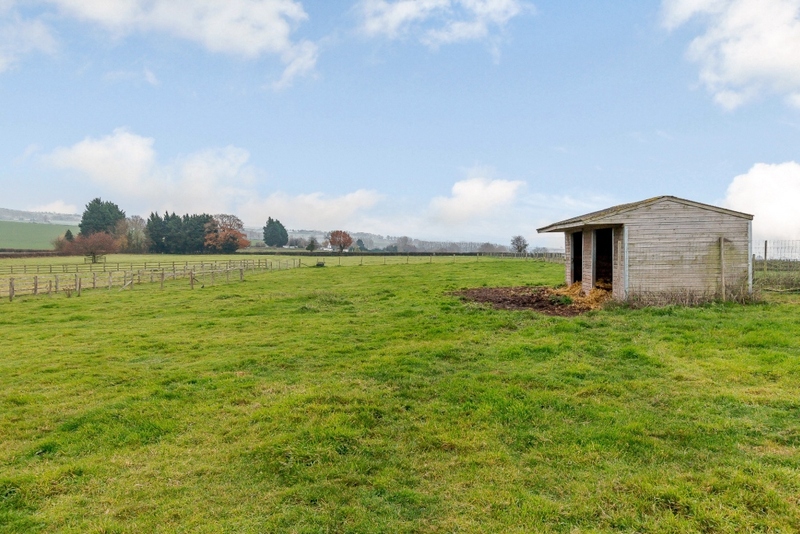 The land benefits from post and rail fencing and a livestock shelter. Broadway is marketed with a guide price of £925,000, for more information call Balfours on 01584 707100. Large rooms full of natural light are the hallmark of a period property – and Broadward Lodge, in the hamlet of Broadward, is no exception. 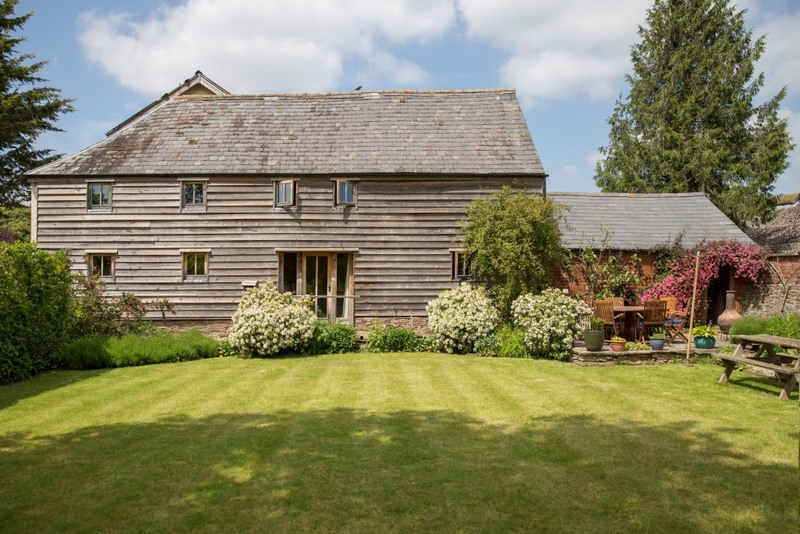 This impressive grade II five bedroom home comes with a two bedroom self-contained barn conversion and the opportunity of a second self-contained barn conversion, providing potential for either extended family and or a business; be that tourism or homework space. 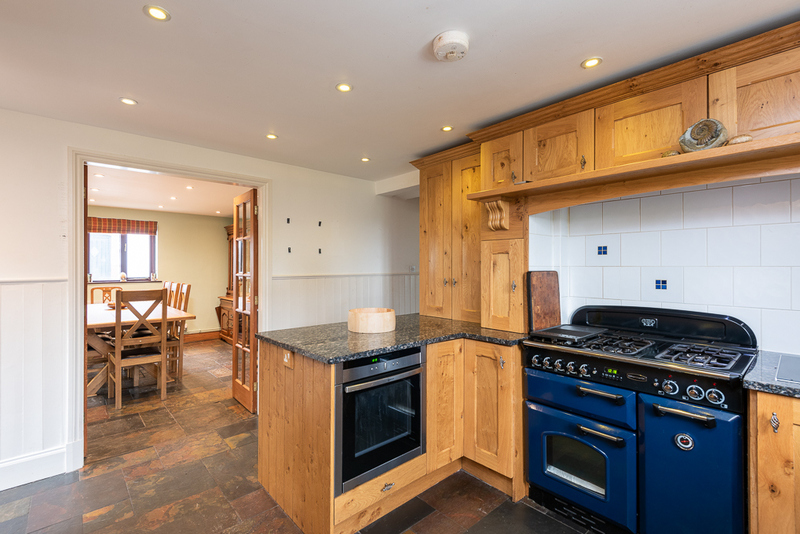 Found in an attractive rural situation surrounded by rolling countryside, Broadward Lodge is 47 miles from Birmingham and some 12 from Ludlow and Hereford. 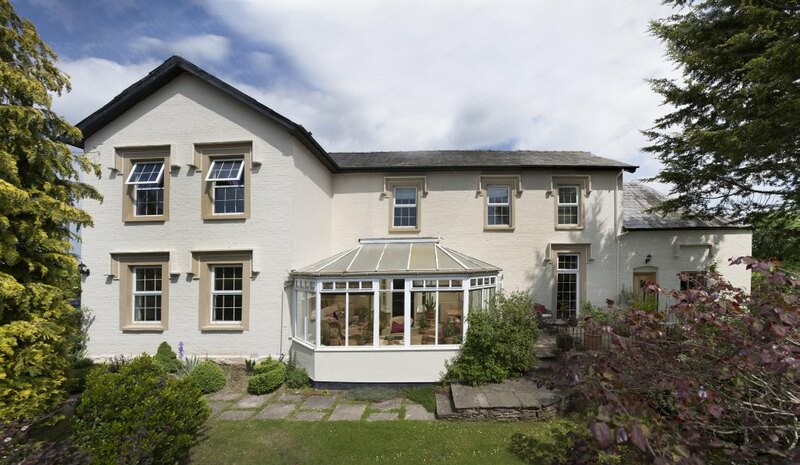 The accommodation in the main house includes five reception rooms, a conservatory and kitchen breakfast room. Two of the five bedrooms are en-suite, in addition there is a first floor room currently used as a studio. 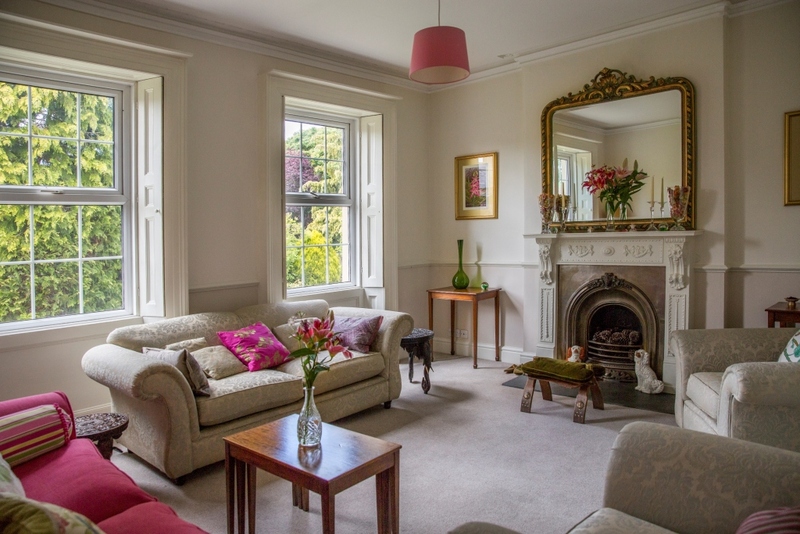 Sash windows, high ceilings and period fireplaces anchor the ambiance throughout. Established walled gardens are punctuated with terraces and a variety of trees, plus parking and outside store. 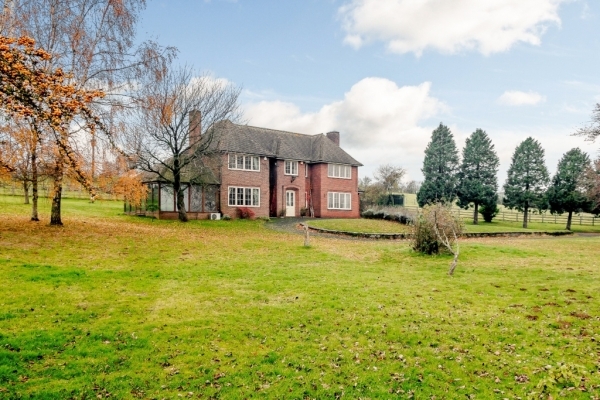 Broadward Lodge is marketed by Balfours with a guide price of £600,000, call 01584 707100. A Shropshire estate agency sales office manager has achieved the nationally recognised Propertymark Qualifications in The Sale of Residential Property. 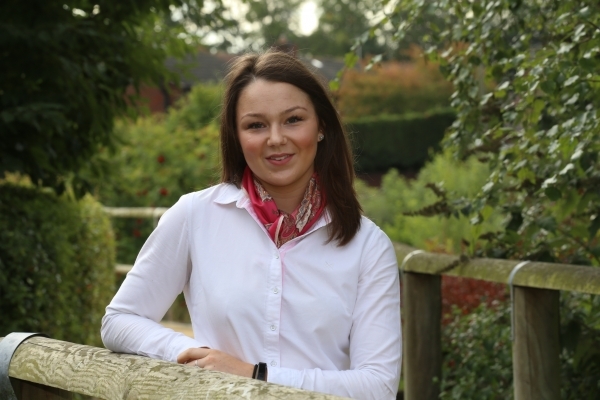 Abigail has now joined other members of Balfours’ staff who are members of Propertymark to include Head of lettings, Charlotte George and Lettings Negotiator Paula Wells are members of ARLA Propertymark - Association of Residential Letting Agents which also offer client money protection. 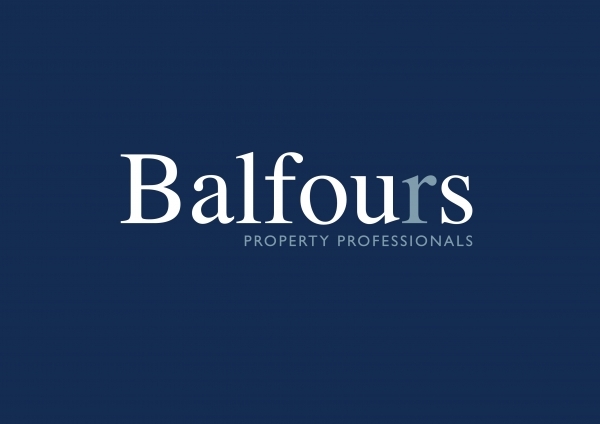 Alistair adds: At Balfours we are committed to a premium client service, Abigail’s qualification with Propertymark Qualifications is a further endorsement of our professionalism. The Balfours Spring Newsletter is now available to read online. We hope you enjoy it. A nuclear bunker is one of the fascinating assets of a four bedroom home, north east of Telford and Shrewsbury. 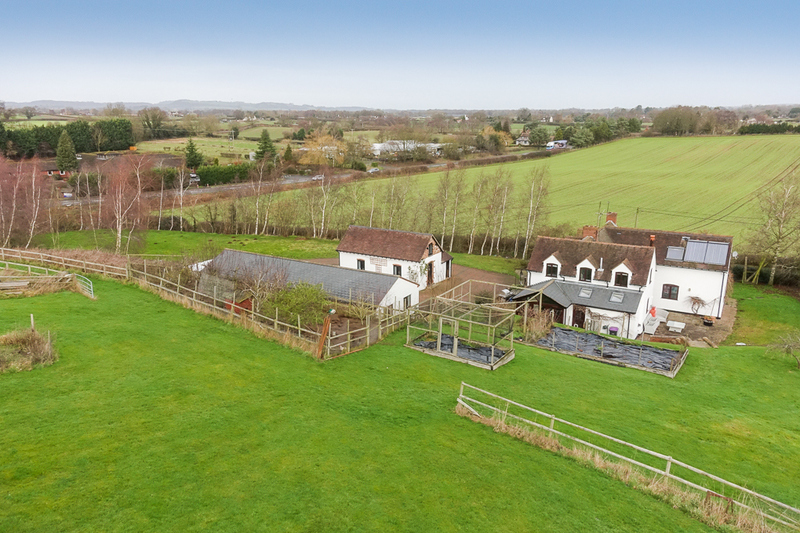 Sunny Croft, Cold Hatton, sits in just over three acres and comes with an impressive array of outbuildings, including the nuclear bunker, a relic from the Cold War – and now decommissioned – but located to take in far-reaching views across north Shropshire. 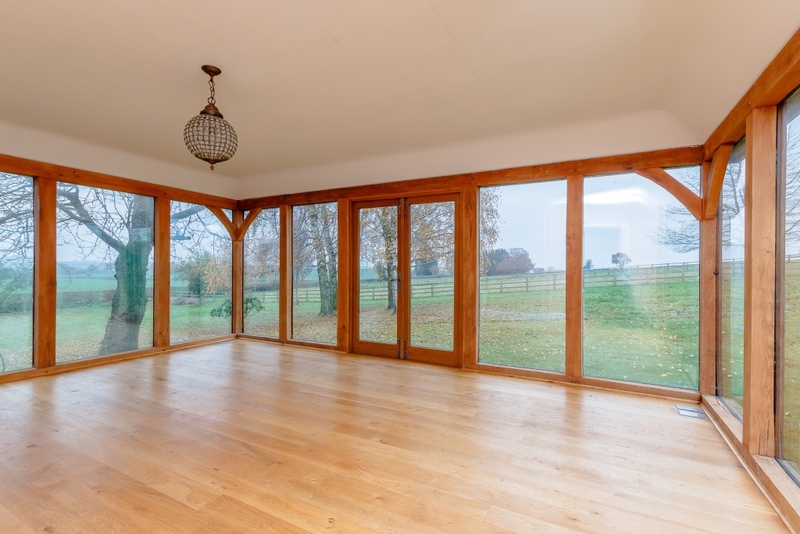 The house at Sunny Croft provides an entrance hall, leading to all main rooms. Double doors provide access to the living room which is of generous proportions and with glazing to three aspects. From here a second pair of double doors link to the more intimate sitting room with fireplace. Across the hallway there is a country style kitchen and a well-balanced dining room, from which the garden with two full glazed walls optimises the views. A utility and downstairs cloakroom completes the ground floor accommodation. A generous master bedroom benefits from fitted cupboards and sits adjacent to the shower room. Along the generous landing there are a further three bedrooms and a bathroom. Sunny Croft is marketed by Balfours Estate Agents Shrewsbury with a guide price of £550,000, call 01743 353511. I need a valuation of my farm, will this be expensive? Formal valuations for the bank, or to help settle family disputes or for negotiations with HMRC for example usually have to be prepared by an RICS Registered Valuer working to RICS rules and regulations - known generally as the ‘Red Book.’ A good comparison to the Red Book in farming terms would be the Cross Compliance handbook that farmers must comply with. So the Red Book is the ‘red tape’ of our profession; it is some 270 pages of bed-time reading, requires us to produce reams of paperwork for each valuation report and consequently it can take many hours to produce a valuation report. - A signed and bound report of some 30 pages. So the red tape in the farming world is not lost on our profession. Just as farmers are audited for Farm Assurance, we are audited by the RICS for compliance and accuracy. Gone are the days where a valuer could jot the value on the ‘back of an envelope.’ Everything must now be justified and supported with sound evidence, all of which must be recorded in an orderly file which often represents a door-stop sized object by the time it is complete. All industries complain about the increasing volume of ‘red tape’ and justifiably so in some cases but in valuation terms it has been a good thing. Valuations are often the basis of some very significant decisions and to have a format and structure of producing them in a logical and structured way to arrive at an informed and accurate valuation figure is essential. In answer to the question, no two Valuation Reports are the same but as with everything in life, you get what you pay for and good advice should be considered both cost effective and invaluable!